Today's blog post is the ninth of many interview previews of performing choirs for PODIUM ON THE EDGE taking place from June 28 - July 3, 2018 in St. John's NL. 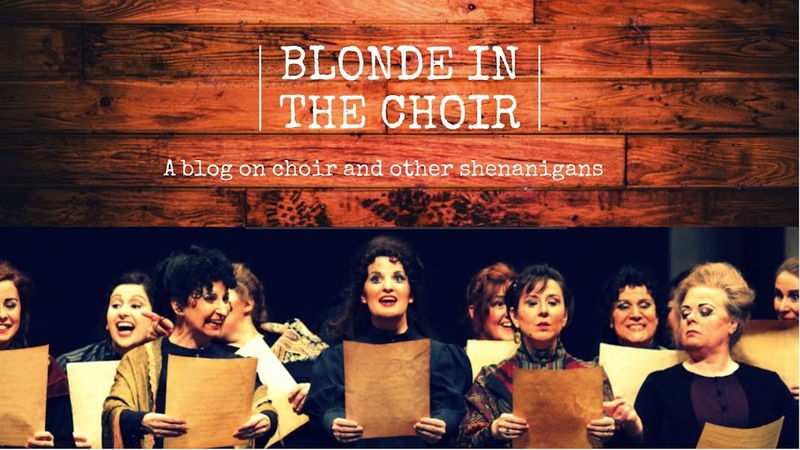 Check out my previous blog posts with The University of Redlands Chapel Singers,Toronto Children's Chorus, Les Petits Chanteurs du Mont-Royal, Capital Chamber Choir, The Oakville Choir for Children & Youth, Elektra Women's Choir, That Choir, and Aurora Women's Choir! KM: Sirens is a small ensemble of only 11 women who perform mostly undirected in performance. We strive to provide an inviting and engaging performance with our focus being creating an intimate and exciting experience for our audiences. I believe that we may also be the only choir from Prince Edward Island ever represented at the Podium, which makes our appearance one of particular note! KM: Sirens earned the “Richard W. Cooke Award” at the FCMF National Music Festival, placing first in the Choral Ensemble Class in 2015. That same year, Sirens also received a nomination for Music PEI’s award for Achievement in Classical or Jazz. In our 2016-2017 season, we collaborated with the Prince Edward Island Symphony, performing the simple but exquisite The Place of the Blest by Randall Thompson. That same year, we also shared a concert with Halifax Camerata Singers, which was such an honour for us. In June, we are, once again, being presented by the iconic Indian River Music Festival in Prince Edward Island as part of their summer line-up. Of particular note, we also commissioned a piece from Jeff Enns this year, which we are so thrilled to present at Podium. 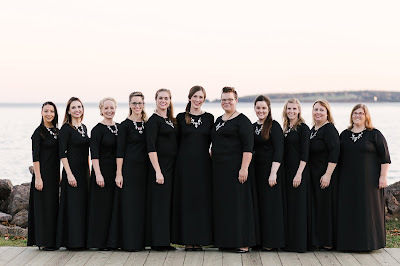 KM: Sirens Choral Association Inc. is a non profit, women’s choral organization in Prince Edward Island. 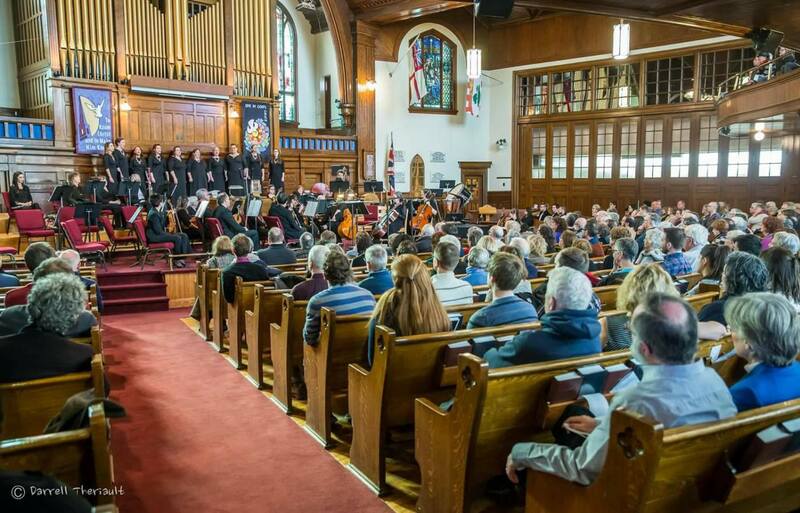 SCA is committed to fostering the development of choral music on PEI by achieving a high level of choral artistry through education and accessible programming. A supportive community for women and girls, Sirens Choral Association Inc. strives to nurture musical and personal growth, meaningful relationships, leadership skills and confidence in its participants. Our work encompasses regular programming with our women’s choir, Sirens, our youth choir, Harmonia Girls’ Choir, as well as hosting regular open rehearsals, supporting community singing initiatives, and providing performance opportunities for amateur singers. KM: When working with only women’s voices, exploring and working to find different colours and varied programming is the thrilling challenge. It can be easy to program a concert that all “sounds the same,” thus I seek to find repertoire that highlights the diversity, power, and sensitivity of women’s voices. Sirens is a small ensemble, therefore, another obstacle is choosing music that celebrates our flexibility and range, without showing how few voices we have. I try not to program works that are simply “too big” for our choir, because it can certainly be tempting. Our singers are also very accomplished musicians, therefore I often try and be cognizant of the need to challenge these fine singers. KM: I actually began by looking back through our library at the pieces that we had done in the past. Reflecting on what had been successful in past seasons and where I perhaps had not yet challenged our singers was a useful exercise for me. What struck me was that the pieces we all had loved singing and that showcased our ensemble the best were those that were written extremely well for women’s voices, most of these being compositions that were originally composed, not simply arranged, for women’s choir. Therefore, the theme became clear for me, I wanted to program some of our all-time pieces thus far and then find some new gems that celebrate women’s voices. KM: Sirens is comprised of absolutely tremendous and independent singers who thrive on performing together. We love telling the story of our pieces, through subtle movement and expressive singing. I only use gesture with the ensemble during crucial transitions, thus our singers’ focus is left to engage the audience and invite them into our story-telling directly. Sirens is known for its brilliant ability to interact with the audience and each other in a genuine and meaningful way. KM: Podium is such a treasure, in that it unites choral artistry from all across the country. It has always been a source of inspiration for me personally. Even though the choral community is small in Canada, it can sometimes feel like we do our day-to-day work in insolation. Podium is an enriching time for choral conductors and choral singers to come together, to learn, to re-energize, and to celebrate the diversity and richness of our Canadian choral family. KM: Music-making is a key component to our culture and therefore, I believe that promoting the work of Canadians is key to preserving and toting our musical culture. I certainly wish the composers in our country to experience success and our choirs can assist in this by singing their music; I am happy to continue this work! Furthermore, Canada has a plethora of amazing new music being written; I consider there to be something missing from my programming without Canadian compositions present. KM: Admittedly, Sirens has not commissioned many pieces as we are only in our 5th season. However, with our most recent commission, my most careful consideration was whether a particular composer knows how to write for women’s voices. In having sung and directed works by Jeff Enns in the past, I knew this to be true. This was important for me and my ensemble. The most difficult part of the commissioning process for me, this time around, was searching for a text. Eventually, we ended up commissioning a text by PEI’s own Poet Laureate Deirdre Kessler, as I could not find a text that resonated with the theme and message we were for Jeff Enns to portray. KM: I certainly cannot admit to getting this right every time, but I do feel that this is an extremely important skill on the director’s part. Essentially, directors are salespeople when it comes to new pieces; there absolutely needs to be a buy-in from the singers or else the rehearsal and performance process can be treacherous. I thoughtfully consider an interpretation of the story or intent of the composition and then, introduce the work through that lens initially. If singers can identify or can find interest in the bigger picture, then often there is more willingness to work at the piece. Secondly, I attempt to create success for my singers in the section that I introduce first by employing effective rehearsal techniques. A run-through of the piece generally does not initiate that immediate success, generally speaking. I search for a meaningful or attainable passage and we work that segment in order to hook singers on the piece. KM: As I mentioned earlier, the largest obstacle and temptation is staying away from pieces that are intended for a larger ensemble. There is certainly repertoire that works brilliantly with our small number, because we are much more flexible as an ensemble. However, there are times where the divisi or the texture becomes too thick for our singers to navigate. In my experience, I can certainly put one singer per part, but the piece is often rendered ineffective. Furthermore, there is sometimes a fine line between children’s choir and women’s choir music; I am often assessing whether the text or the melodic components better serve children or women. KM: I grew up in a musical family, with both of my parents being respected music educators in our community. My father was the band director and my mom was the choir director at my community’s high school. I was so fortunate to have been involved in choirs, bands, and music lessons from a young age. As a result of living in a musical household, I was privileged to have been frequently exposed to incredible music education models as well as significant musical experiences. I received by Bachelor of Music from Canadian Mennonite University and this is where my love for choral music and music education was fostered by my mentor, Dr. Janet Brenneman. After receiving my Bachelor of Education from the University of Saskatchewan in 2012, I moved to Prince Edward Island with my husband. Here, I was fortunate to be involved in the formation of Sirens and before our second season, I was appointed as Artistic Director. In 2015, Sirens expanded its family with the creation of Harmonia Girl’s Choir, which I also direct. I have also had the privilege of conducting the Indian River Festival Chorus for their 2016 and 2017 season. I also enjoy clinic and workshop opportunities, having worked with choirs such as the Annapolis Valley Honour Choir and PEI Junior Honour Choir, and having adjudicated at the Atlantic Festival of Music in Halifax. Aside from this work, I teach instrumental music at Morell Regional High School and I am currently working towards my Masters of Music Education through Acadia University. 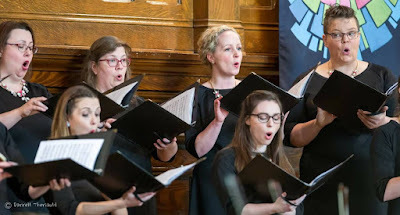 Even though I adore my music education hat, my joy and love of singing in choirs has been instilled in me since my childhood and I continually seek opportunities to sing, which thankfully, Sirens allows me both of these pleasures! KM: Podium has been our goal since our inception, so now we have to go back to the drawing board to determine our next move - ha! In the future, we certainly want to continue striving for a high-level of choral artistry and to continue building our organization and our family of choirs. Recording has definitely been a goal we are looking towards, so I look forward to a project focused on that in the future. Also, as I mentioned earlier, we are relatively new to world of commissioning new works, but this last project has been so fulfilling that I am certainly excited to embark on this journey again. I do hope to commission a female, Canadian composer in the near future. Finally, our current commission, Sorrow Song of Whales by Jeff Enns, which we are premiering at Podium, will continue on with us next season. This commission was inspired by a Mi’kmaq legend told to us by PEI elder, Methilda Knockwood. Her “Mermaid Legend” is a cautionary and wonder-filled tale of mermaids seeking aid due to the tragedy of climate change. Our current poet laureate, Deirdre Kessler, then wrote us a beautiful text illustrating a parallel story to that told by Knockwood. Next season, we are hoping to collaborate further with the Mi’kmaq community to co-construct a larger narrative work of stewardship and friendship. KM: I hope that listeners of our concert see the validity, relevance, and strength of women’s choirs. Sirens’ inception was not one that arose out of some reality that we could not find men to sing with us, rather our founding members longed for a musical community of like-minded women. Our founding members sought a sisterhood that would support each other and strive for musical excellence, and I think this has been beautifully established. For many years, my understanding is that there has been a lack of women’s choir repertoire, but I do think the tides are shifting in this regard. Our program and our performance will offer a taste of some of the thrilling and diverse works available for women’s voices. 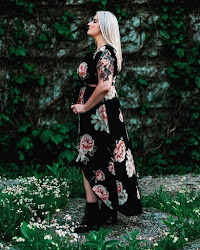 Kelsea McLean holds a Bachelor of Music from Canadian Mennonite University where she studied voice and specialized in choral education; she also graduated from the University of Saskatchewan with a Bachelor of Education. 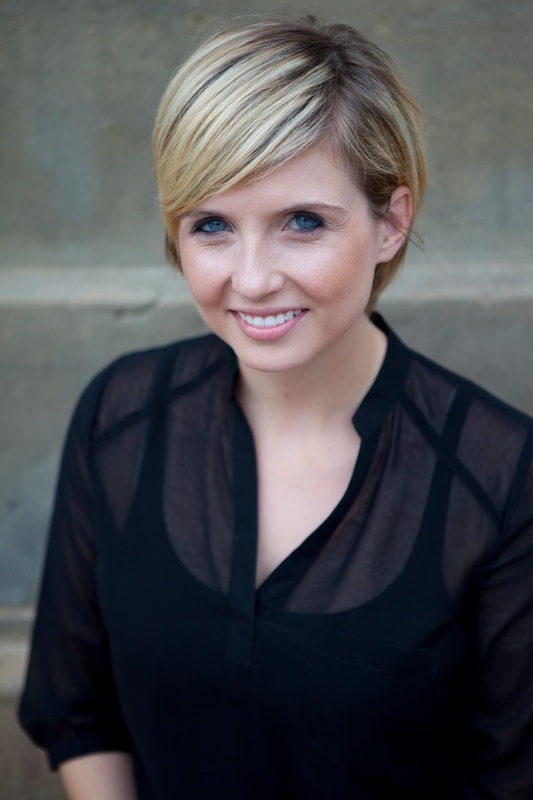 Kelsea currently serves as chorister and Artistic Director of Sirens, a women’s choir based in Charlottetown. 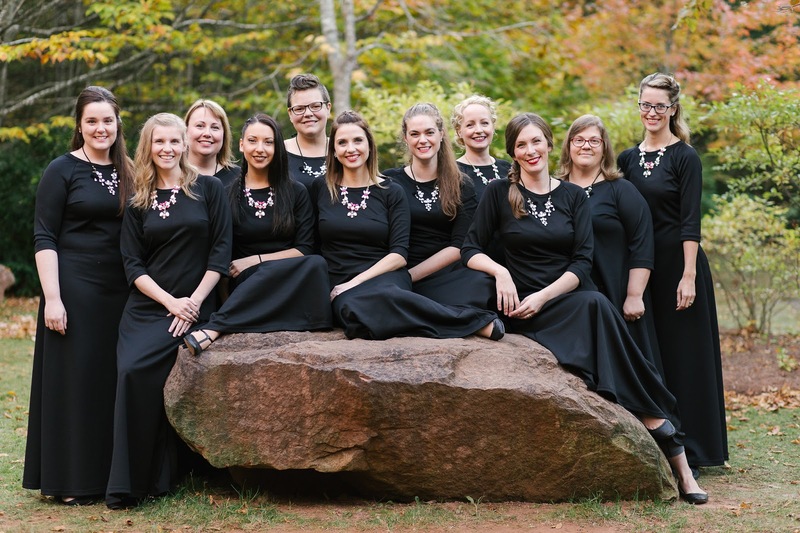 As a recipient of several awards at the local and provincial music festivals, Sirens earned the “Richard W. Cooke Award” at the FCMF National Music Festival, placing first in the Choral Ensemble Class in 2015. That same year, Sirens also received a nomination for Music PEI’s award for Achievement in Classical or Jazz. In 2015, Kelsea founded and began directing Harmonia Girls’ Choir, the first addition to the Sirens’ family of choirs. She has also had the privilege of conducting the Indian River Festival Chorus for their 2016 and 2017 season. Sought after for her high-energy and emphasis on vocal technique, she has had the privilege of providing choral clinics for PEI programs such as Music Monday and the PEI Junior Honour Choir. She has also adjudicated for the Atlantic Festival of Music. Kelsea also enjoys an active solo career, having performed primarily in SK, MB, and PEI including appearances with the Swift Current Oratorio Choir and Regina Symphony Orchestra, the Canadian Mennonite University choirs and Mennonite Community Orchestra, and the Confederation Singers. Kelsea teaches instrumental and choral music at Morell Regional High School and is currently working towards her Masters of Music Education from Acadia University. Thank you so much, Kelsea! 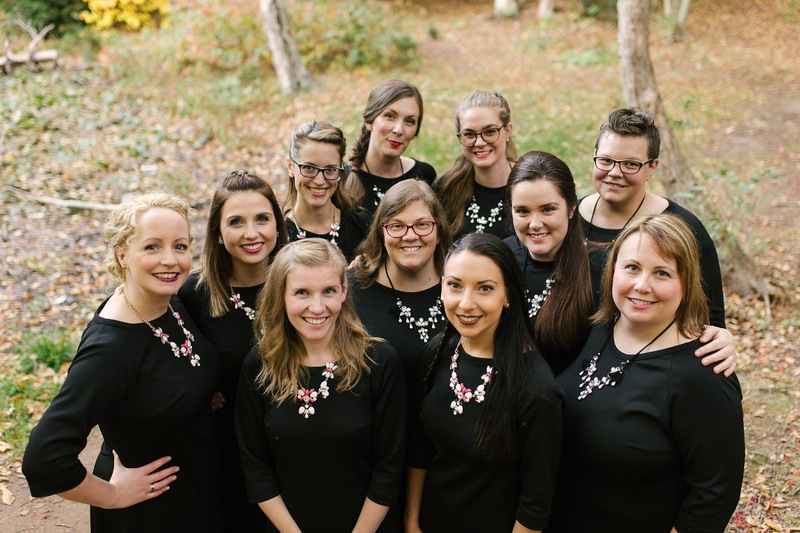 Sirens performs on Monday, July 2nd, 8:30pm at the Cochrane Centre (81 Cochrane St) as a Highlight Choir for the "Equals on the Edge" concert at #Podium2018.